Hugo Lloris is hoping 2019 will be the year he finally lifts some silverware with Tottenham. Spurs continue to make progress under manager Mauricio Pochettino but are looking to end a trophy drought which stretches back to their League Cup triumph in 2008. They have slipped nine points behind leaders Liverpool in the Premier League but are in the semi-finals of the Carabao Cup and the last 16 of the Champions League, while they kick off their FA Cup campaign at Tranmere on Friday. Goalkeeper Lloris was a World Cup winner with France in the summer and the Spurs skipper wants to get his hands on another trophy next year. "This is what we work for," he said. "But we know we are in the Premier League and there are a lot of contenders, big teams, big players, and that is why we are excited to be here. "We are in the most competitive country so we keep working with the same mentality and do our best. We have shown in the past that Tottenham is very competitive and we are reducing the gap with the best." 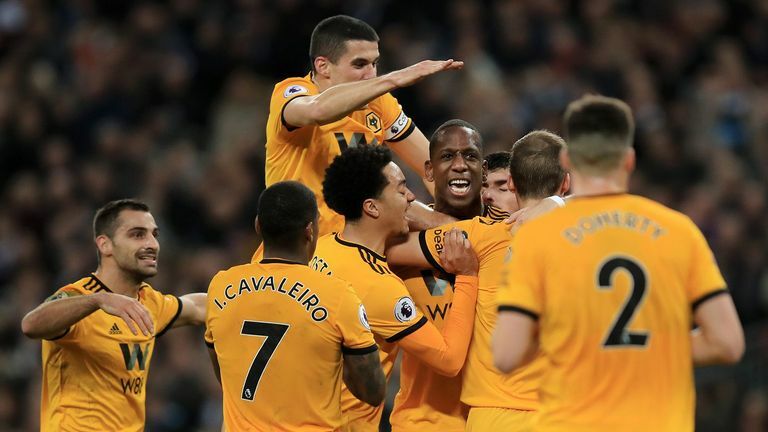 Tottenham begin the new year with a trip to Cardiff as they attempt to bounce back from their shock 3-1 home defeat by Wolves. Spurs were leading with 18 minutes to go but their relentless run of fixtures finally caught up with them. "It is difficult to blame the team because we made such an effort the last few weeks and we are still involved with every competition, so that is the positive thing," added Lloris. "It was disappointing because we expected more but that is part of football." There are some accidents in a season and the most important thing is to stay focused and win the next game. "Every time there is a defeat it hurts a lot and you need to question yourself individually and collectively. The best way to bounce back is to win the next game."